Continuing on my quest for picking cleaner beauty products, I’ve been checking out cult skin care line, Sunday Riley. Like most new or relatively new products that I come across, I find them via the internet. I’m really not new to Sunday Riley because I did purchase and used her Artemis Oil, which I did like. After I ran out of that product, I wanted to try something else from the line. 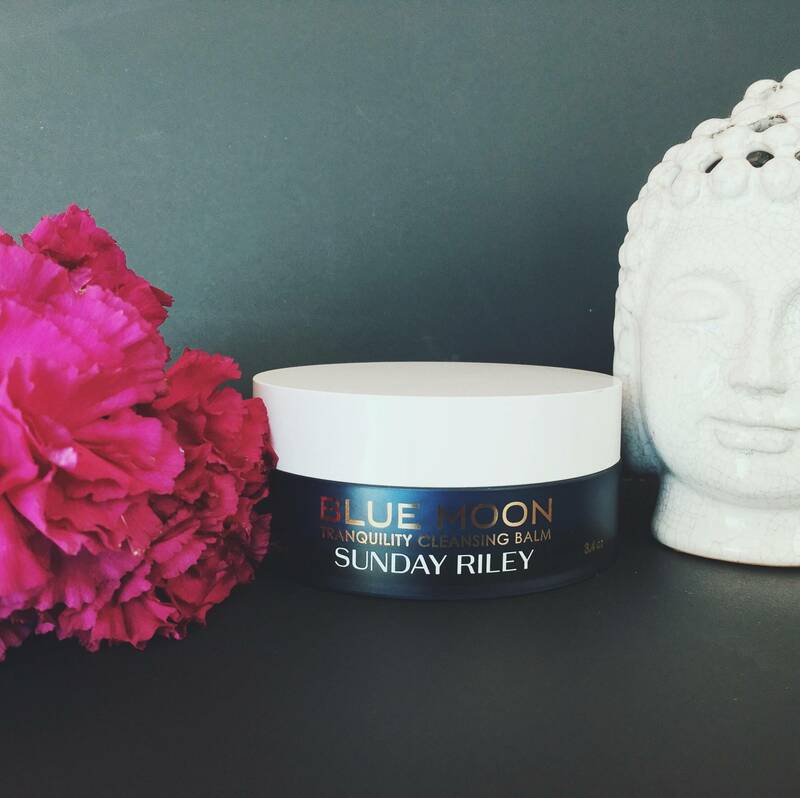 Needing a good way to remove makeup, I got the Blue Moon Tranquility Cleansing Balm. The cleansing balm says that it’s formulated for those with drier skin, but with my oily skin, I find that it’s quite effective of removing my makeup with no adverse reaction or breakouts. Because it does not contain Parabens, Sulfates, or Phthalates and is gluten-free, there are so many “feel good” natural ingredients that someone with oily skin can get away with using this cleansing balm. I loved how this cleanser left my skin smooth and supple without drying it out as most oil-free cleansers tend to do. It made my skin look even a little brighter, which was a plus in my book! When it’s said that a little goes a long way, it’s true with this balm. The balm is pretty densely packed into its container. There is no offensive, loud, or overly fragrant scent, either. Another perk is that you can use the balm as a hydrating mask whenever your skin needs a jolt of moisture.